Patented design that maximizes usable volume. Nestable for storage and shipping cost reductions. The truck used nationwide by recyclers to collect and transport materials for recycling. 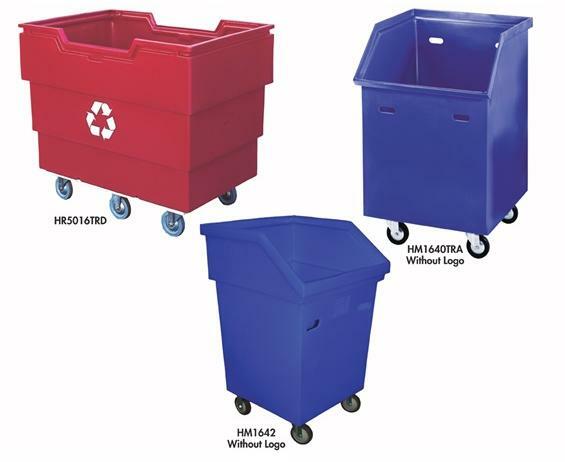 These general purpose trucks are uniquely designed allowing for greater usable capacity, while maintaining maximum maneuverability. HM1642 trucks nest when empty. Trucks feature a recycling logo (also available without recycling logo -- call for information). 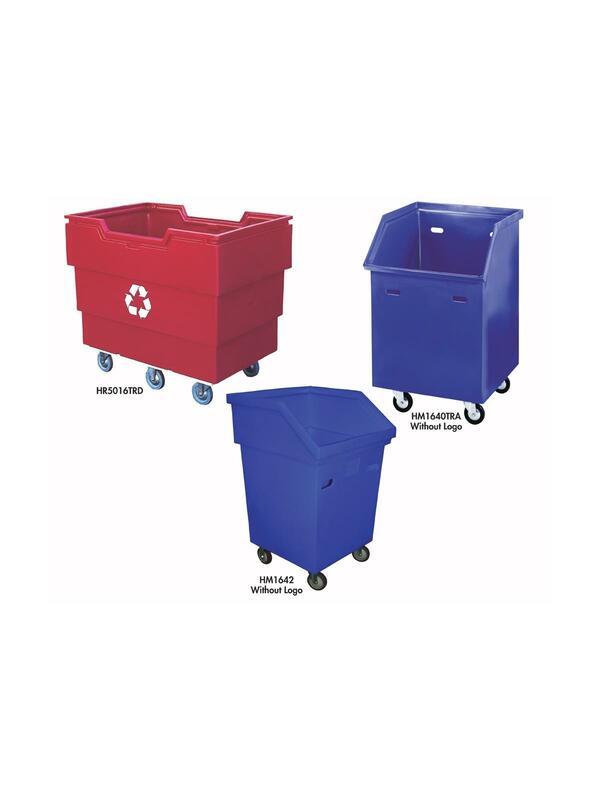 Features rugged polyethylene body with 5" casters for easy rolling. Silver Gray is standard color. FOB Shipping Point. Eighteen colors to choose from! Silver Gray is standard color. The following colors are available at no additional charge: Orange, Burnt Orange, Honey Gold, Bright Lemon, Lime Green, Jade Green, Black, Natural White, Forest Green, Royal Blue, Powder Blue, Cadet Blue, Wine, Purple, Chocolate Brown, Pink, and Red. To order any of these colors add the SKU-COLOR to your shopping cart and indicate the color in the comments section. 43 x 28 x 37"43 28 37"